Nestled on the Alaska Panhandle on Baranof Island and the southern portion of Chichagof Island, the exceptional city-borough of Sitka, Alaska, offers gorgeous natural beauty, plentiful entertainment opportunities, lovely residences, and much more. When you are a resident of this fabulous city-borough in the Alexander Archipelago, you will not struggle to find enjoyable activities to fill your free time. Rich with cultural heritage and full of stunning natural beauty, this marvelous city-borough is an excellent place to call home. Incredible Sitka, Alaska, real estate options are ready to pique your interest, so now is the time to consider what it would be like to live in this welcoming city-borough. Regardless of your interests, you are certain to discover enjoyable activities that complement your favorite pastimes. Furthermore, the astounding natural beauty of the area is sure to impress you. Envision mesmerizing views of glistening water, majestic forests, stunning neighboring islands, and a wide sky. These views will be part of your everyday life when you choose to live in this marvelous area. Furthermore, you can enjoy the outdoors in one of the pleasant area parks, as well as during enjoyable events hosted by the city, such as its annual Alaska Day Festival. 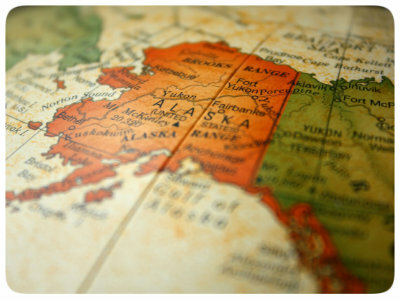 Commemorating the purchase of Alaska, this fun event celebrates the area’s rich history. You will enjoy film showings, tours of some of the twenty-two buildings and sites listed on the National Register of Historic Places, a reenactment ceremony of the signing of the purchase of Alaska, and much more. Because beautiful Sitka treasures its past, its valued heritage continues to influence life today. You will appreciate the high quality of life in the area, and you will enjoy learning about the area’s past. Whether you are attending a local event or relaxing and soaking in the gorgeous views, you will be glad you chose to live in an exemplary Sitka single-family home, condo, or townhome. Friendly neighbors, beautiful surroundings, and a strong sense of community await you in this excellent city-borough. Attractive Sitka, Alaska, land plots, single-family homes, condos, and townhomes are waiting to impress you, and you are sure to find something that suits your style. If you are ready for more information regarding exceptional Sitka, Alaska, real estate options, please do not hesitate to contact us.